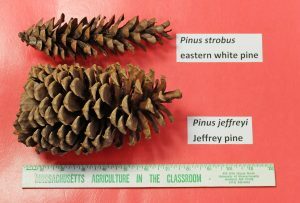 Within Mount Auburn there are approximately 450 pine trees, representing two-dozen distinct species, out of the 125 Pinus species extant worldwide. Herein we look at the Jeffrey pine, Pinus jeffreyi, native to southwestern Oregon, California and into some mountains of northern Baja California. Most often growing at elevations between 5000 and 9500-feet, in the northern coast ranges it also occurs almost at sea level. 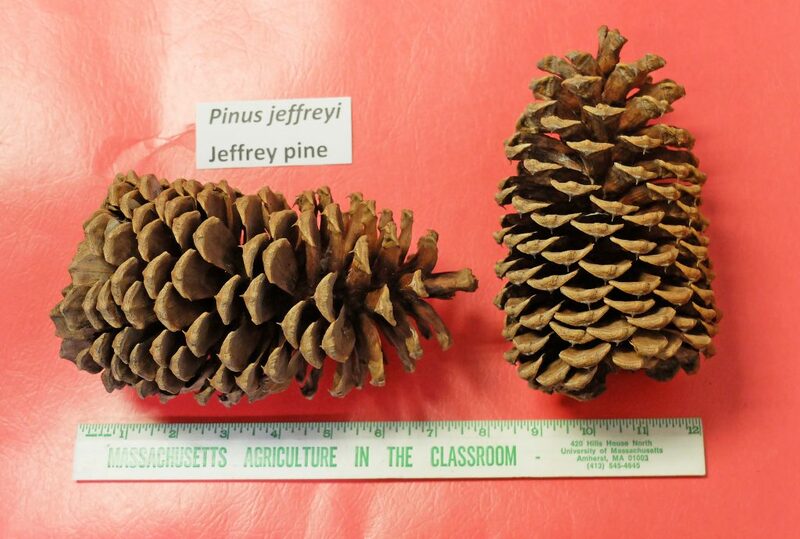 The Jeffrey pine needles are arranged in fascicles of three (3), and at 7 to 12-inches are distinctively long. 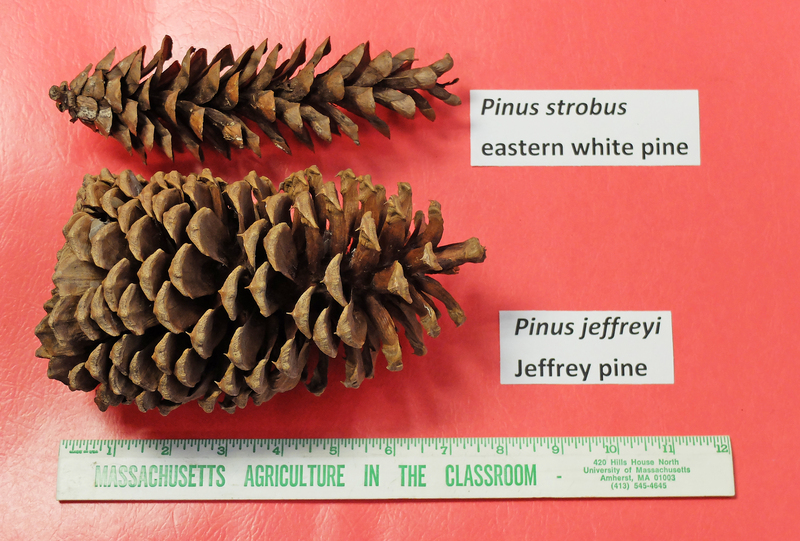 Its cones are 6 to 10-inches long and much stouter that our own familiar eastern white pine cones. This is a large tree easily growing 60-100-feet, and some have lived for over 400 years. The largest ever recorded, in the western Sierra Nevada, was 175-feet tall, with a 7.5-inch diameter. 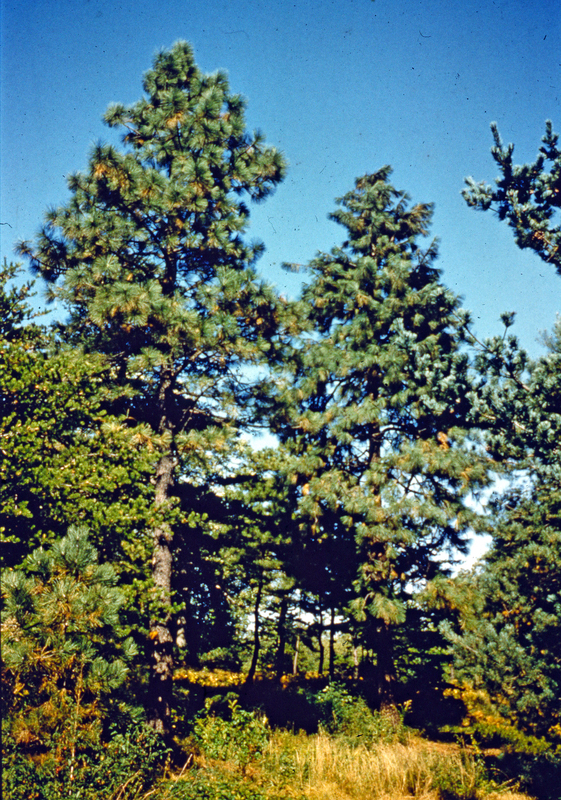 The mixed coniferous forest of the western Sierra Nevada is beneficiary of the moisture laden winds from the Pacific Ocean providing periodic replenishing water. 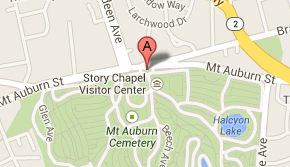 However, the eastern slopes by contrast are more arid and less hospitable. 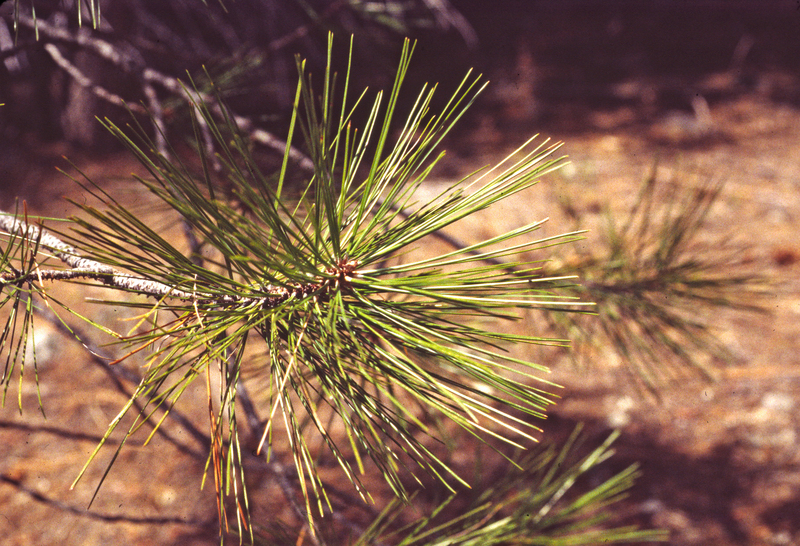 It is in these drier regions that research tests have suggested that Jeffrey pine, along with ponderosa pines and a few other needle-leaf trees can absorb traces of moisture through their needles, transport it within their vascular systems to the roots and expel it into the dry ground. 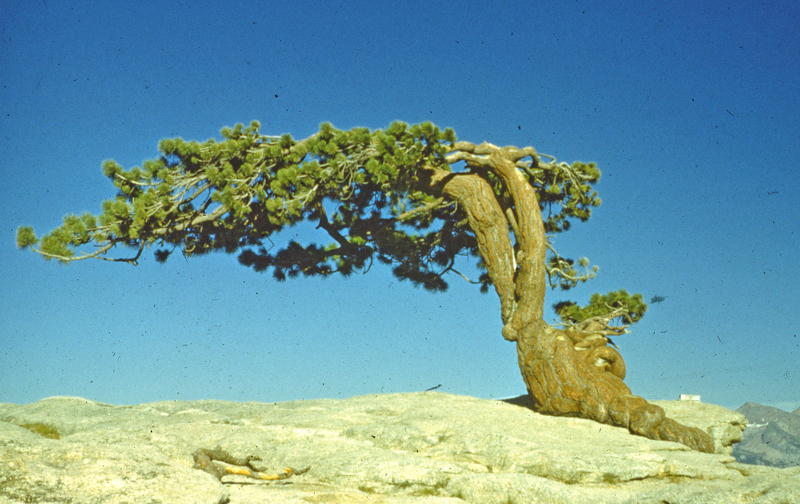 It was on such an arid, challenging alpine environment that once grew perhaps the most photographed Jeffrey pine. 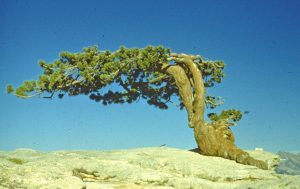 In 1940, on the bare summit of Sentinel Dome in Yosemite National Park, the renowned photographer, Ansel Adams (1902-84), nearly immortalized a wind-stunted, diminutive, twisted, picturesque specimen. Photographed hundreds of thousands, perhaps millions of times, in the subsequent decades this natural landmark finally died due to drought stress in 1977. Nonetheless a remnant of this dead, gnarled, sun-bleached wood remains as a visual meditation on the passage of time. Here we are again. Enjoy the day. 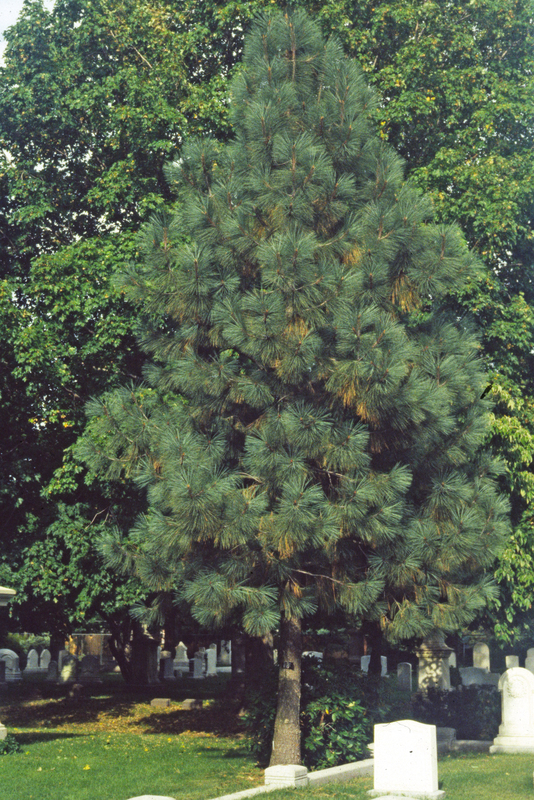 In lieu of a cross-continent trip to Yosemite, on your next visit to Mount Auburn, bring a virtual image of Adams’ iconic Jeffrey pine and visit our more columnar cousins located on Rose Path and Lime Avenue. Interesting and enjoyable to read! We are so glad that you enjoyed it Alice! Many thanks Jim! John and I always enjoy your articles. Thanks for this post. It reminded me of one of my favorite smells from childhood: the bark of the Jeffrey pine trees in the Sierra Nevada Mountains of California–almost like vanilla!